Samsung's Galaxy Fold is making its world debut in the US and Korea on April 26. On the same day, the company will start taking pre-orders for the device in Europe - specifically in these 15 markets: the UK, France, Germany, Italy, Sweden, Spain, Norway, Denmark, Finland, Belgium, Netherlands, Austria, Poland, Romania, and Switzerland. As expected, it will cost €2,000 in continental Europe. The price for the UK is £1,800. That's expensive for sure, but perhaps a small price to pay in order to hold the earliest available foldable smartphone from a big brand? Also keep in mind that all customers are getting a free pair of the new wireless Galaxy Buds, as well as a slim-design protective Kevlar case and one-year damage cover through Samsung Care+. The phone will be offered in Martian Green, Astro Blue, Space Silver, and Cosmos Black. Yet if you order straight from Samsung's online store, you can also select a made-to-order custom color combo, by choosing a dark silver or gold hinge. 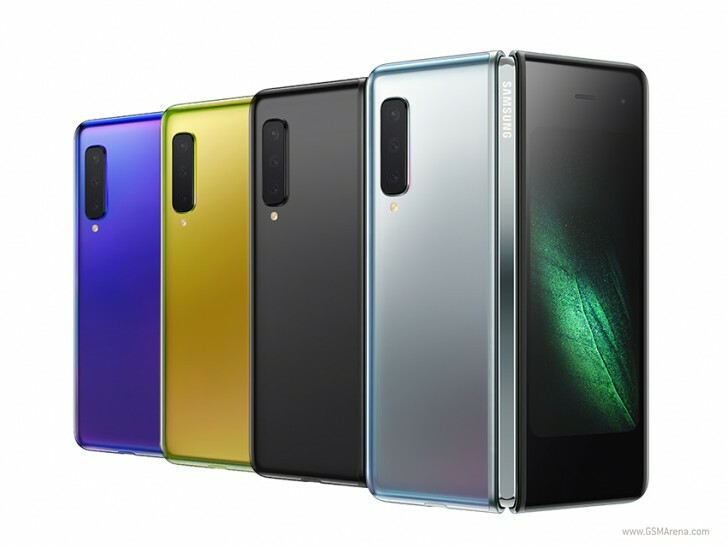 In the UK, EE will offer the Galaxy Fold too, but just in Space Silver and Cosmos Black.